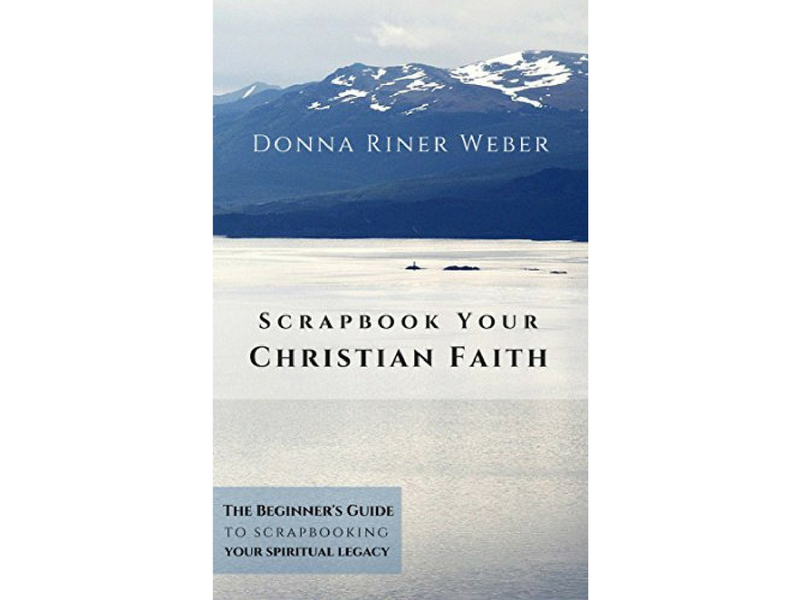 “Faithbooking” is the art of creating a Scrapbook about your Faith. The Faithbook includes scriptures, pictures, prayers, and stories about God’s presence in your life. When did you first learn about scrapbooking? How did it change you? Several years ago, due to chronic illness and daily pain, I had to stop my teaching career. I had been in the education field for 18 years, and it was a shock to my system when the doctors told me I would not be able to return to my classroom. I believe that God has a special plan for you and me and each one of us. The Bible tells us “For I know the plans I have for you, says the Lord. They are plans for good and not for evil to give you a future and a hope.” Jer. 29:11 (TLB) I didn’t understand. “But God, what is your plan for me? I thought it was to teach my middle school students.” I cried. I prayed. I wrestled with what God wanted me to do. I knew it wasn’t to lie around on the sofa watching TV and waiting for Him to call me home to Heaven one day. I felt God was whispering in my heart to write stories of how He’s been faithful to me and my family. So, I started jotting down notes and throwing them into files and piles. Around the same time, my cousin (Nora) came to visit our family. She brought her scrapbook. While I was amazed at her beautiful layouts, I knew I could not do anything like that because I have never been artistic. But the seed had been planted and I was interested. I attended several 101 level scrapbook classes at local craft stores. After I created a few pages, I felt that something was missing. It was my Faith. It’s a huge part of my life and I wanted evidence of my Faith to be on the pages I leave for my family and future generations. But how could I combine Faith and Scrapbooking? I tried to find a book to help me. At that time, there were lots of books on Scrapbooking techniques but only a few on the “Faithbook” aspect. So I set out to write the book I needed as a beginner in Faithbooking. I entitled it: Scrapbook Your Christian Faith—the Beginners Guide to Scrapbooking Your Spiritual Legacy. How do you consider what is a life altering event? What kind of stories and spiritual messages should be told to the next generation? Why should they be preserved? As Christians, we should all share our beliefs with generations which follow us. The Bible admonishes us to do this numerous times in God’s Word. …Always be prepared to give an answer to everyone who ask you to give the reason for the hope you have. (NIV) We may have one special story or many stories where we have experienced the power or peace of God. By sharing your stories of your struggles and how God was with you and brought you through them, it may give courage and hope to your great grandchild whom you may never meet. Other items you may choose include scriptures and prayers. I am using social media and writing articles. I also enjoy teaching classes on Faithbooking. While in the past, these classes have been in person in churches and a civic center in various states. However, my future plans are to create an on-line course. Thank you Zinpea, for giving me this opportunity to share some of my Faithbooking Journey with your followers. I hope some will be inspired to share their spiritual messages with those who will follow them. Blessings to All in their Faithbooking Journey!